Brian chose to pursue a writing career despite formal training in history and theology. His journey toward publication began at the behest of his long-suffering gaming group, who tactfully pointed out that he seemed to enjoy telling stories more than planning and adjudicating games. His complete four-book Soul Cycle horror/adventure series, consisting of Nethereal, Souldancer, The Secret Kings, and The Ophian Rising, is available now. Want your book edited by a Campbell finalist and Dragon Award winner? Brian is now accepting author clients. Visit Brian's Amazon.com author page. 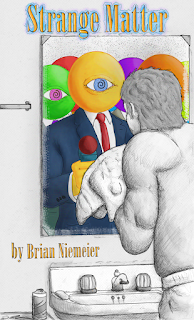 Get Strange Matter, the complete collection of Brian's short stories, including the #1 best seller "Elegy for the Locust" and a new exclusive story free here.